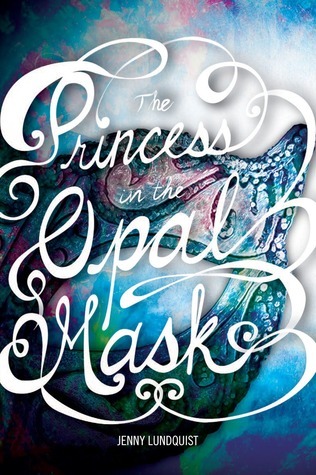 The Princess in the Opal Mask is about an orphan placed in the care of an abusive foster family in the fictional town of Tulan, in the southwestern portion of the Galandrian country. At first, it had the make up of yet another Cinderella story set in yet another period piece. The problem with this type of story is it loses its magic right after the few initial chapters, and succumbs to a downward pull in the story line. And I don’t blame gravity for those failures. If one is observant enough, there are enough clues in the beginning to arouse suspicion and it is there where the story deviates from the rest of the Cinderella-wannabe’s. To be honest, one of the strongest points this story has to offer is the politics behind the court. It has always been a weakness of mine, reading historical stories of the English and Spanish courts, and what always sinks me is the intricate yet elegant world of court politics. The Princess in the Opal Mask simmers with all these diplomatic pretenses, and the very fact that the story happened thru one of their kingdom’s biggest deceit really, really intrigues me. The world building is also spectacular. This is one of those books which proves that it doesn’t have to be so elaborate. There is complexity in the simplicity of a world that is strong in its foundations. This one really stuck with its foundations. Because really, what most fantasy writers don’t realize is that not everyone can sustain a stamina to build a world similar to the Wizarding World. People, keep it simple. If it grows, then make sure the roots are strong. Do not force the branches to grow out of the budding plant. Let it take root. The romance part of this story – and here I will degenerate into a simpering fangirl – is really sweet. Although it is a little predictable. I am hoping that both Stefan and Elara grow into more complex characters individually and as a couple. Speaking of growing into more complex characters, I really love the slow character development of the twins. They’ve both wanted things that are not presented to them by circumstances, and at the end, the one horrible thing became the chance that they were seeking. It is kind of cheap shot – I mean, it is still considered escaping. But right now, at this point in the story, I will reserve my judgement. I just hope that whatever is in store for the following books is enough to encompass a change that will span their whole realm. Because what happened in this world is just the spark. And that spark has a huge potential for change. Gears are already turning. I just hope that the books sustains its initial velocity. I keep on watching out for the magical turn of events, but so far none of the Deus ex machina types have jumped off and derailed the story. I really, really hope that whatever mystical explanation – if there would be – would not cause this story’s descent.